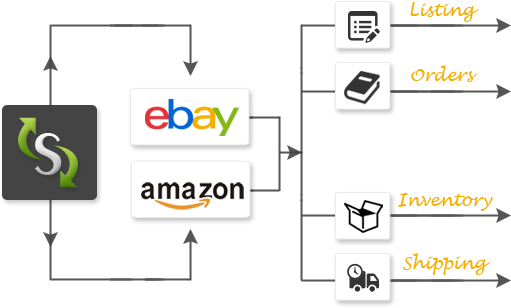 Syncline, an e-commerce solution which will help streamline your multi-channel selling. This will simplify the management of various marketplaces and will save you time & money. We needed a solution for the multiple log-ins we had for all our web stores. It was becoming a hassle especially when we had to change our passwords every 6 months. Syncline provided the solution we needed with its platform for multichannel. 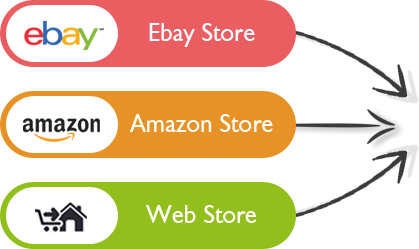 We can access ALL our online stores in one place. It’s simple, straightforward and we no longer have the hassle of several passwords. Revolutionary software! All of our online stores in one! We have 3 shopping channels which Syncline was easily able to accommodate, and we are still amazed at how much spare time we have now all of our shops have been integrated into one platform. We paid a small one off cost and we are most pleased with the results. I am no good with maintaining stock levels efficiently, and Syncline has been an absolute godsend! It brought together and combined my four web stores enabling me to manage them all in one place, and now my inventory is synchronised to a high level. I honestly never thought it would be this easy. I no longer stress or worry, and I get a good night’s sleep. Through Syncline, we integrate your various retail channels so that the management of these can be done through a common administrative panel/platform. All the products with their attributes are listed through one single interface.The updates happen automatically across different channels so it is very easy to use. All orders can be seen on the dashboard of Syncline admin panel so you can manage your orders from various retail channels through Syncline. All stock/ Inventory levels are automatically updated when a sale has been made from any retail channels. For Example: 2 items sold through an EBay Shop = 2 items of stock deducted across the other channels. Minimised risk of overselling or underselling. Shipping Management can also be undertaken easily through Syncline. Plans and pricing that scale with your business.